It’s the end of the It’s On Us campaign’s National Week of Action and, today, we’re focusing on what’s next for the future of anti-sexual violence work on campus. So much progress has been made already: legislating affirmative consent in CA schools, creating more trauma-informed policies on campus and working to improve the campus adjudication process for survivors. The U.S. Department of Education’s Office of Civil Rights, in collaboration with brave survivors and student activists, has been working hard to hold campuses accountable for mishandling sexual assault cases. Campus sexual assault is finally being taken seriously by the mainstream, and yet we still have a long way to go to truly prevent sexual violence against all students in higher education. 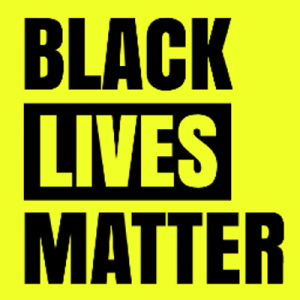 Since 2013, student and community activists in the Black Lives Matter movement have been drawing attention to the extreme, persistent state violence perpetrated against black communities in the U.S. The #SayHerName hashtag on social media highlighted police brutality against black women, who are often overlooked in conversations about police violence. The momentum from #BlackLivesMatter has bolstered efforts on campuses – black student activists are protesting racism on campus, and organizing to create more equitable campus environments for students of color. Yet despite the widespread attention and urgency of racist violence on and off campus, anti-sexual violence activists have been largely silent on the issue, and some anti-sexual violence efforts have excluded or marginalized people of color entirely. According to Black Women’s Blueprint, a racial and gender justice organization focusing on the needs of black women and girls, between 40-60% of black women have been sexually assaulted by age 18. We know that sexual violence is not just about gender – race, dis/ability, age, sexual orientation, immigration status, along with many other factors make some student populations, particularly women of color, extremely vulnerable. If students of color are not centered in anti-sexual violence efforts on campus, then are we truly creating safer campuses for all students? Campus racism and sexual assault are both having a moment in the spotlight, but we can strengthen each others’ initiatives and keep campus violence issues at the forefront of the national agenda. The time is now for sexual assault advocates and activists to join forces with racial justice activists to prevent sexual violence against ALL students on campus. Learn more about incorporating racial justice in anti-sexual violence work from the Institute for Gender and Cultural Competence. This blog was written by Jeannette Page, Training and Technical Assistance Coordinator at the California Coalition Against Sexual Assault.